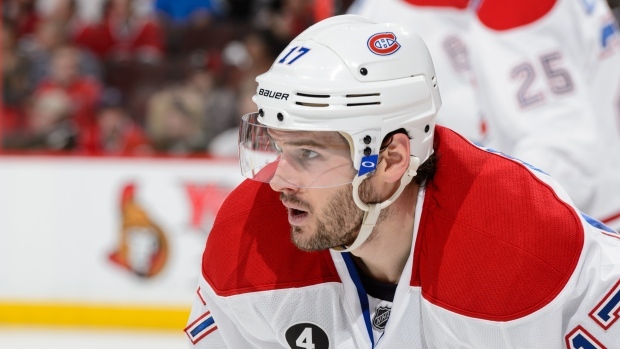 MONTREAL - Centre Torrey Mitchell signed a three-year, $3.6 million deal with the Montreal Canadiens on Monday, the club announced. The 30-year-old Mitchell had six goals and eight assists in 65 regular season games split between the Buffalo Sabres and Montreal. He had a goal and four assists in 12 playoff games for the Canadiens. Mitchell has 42 goals and 63 assists in seven seasons in 457 career NHL games. He was acquired by the Canadiens from Buffalo on March 2 in return for Jack Nevins and a seventh round pick in the 2016 NHL Entry Draft.